Amazing interiors can be found in any part of the world, and there are awards held internationally every year which honour the very best in interior design. From stark and bold metallic wall panels to textured laminates for countertops, from glass windows and mirrors to the finest leather furnishings, amazing interiors inspire and delight. Here we picked just five outstanding interior design winners, as well as some notable examples of amazing interiors. This Shanghai burger joint has been imagined as a retro American diner. The Chinese designers, Neri&Hu, have created an angled, glass-panelled roof; the exterior walls are glazed and can be folded away to create a larger, open space. Lighting is custom and pivoting walnut and stainless steel benches are placed at communal tables. 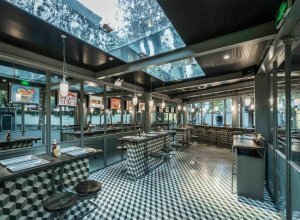 Interior walls use mirrors and textured glass, while the floors and benches offer a 3D chequerboard-effect with hand-painted concrete tiles. 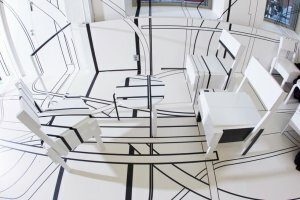 This unique and innovative design was the result of collaboration between German artist Tobias Rehburger and Finnish furniture manufacturer Artek. The stark, black and white cafe saw bold graphics on the walls and floor, with modern complementary furnishings in black and white. The effect is all-encompassing, with lines intertwining and overlapping to totally connect every aspect of the space. The only colour present is an orange line curving across part of the floor and a single orange lamp. 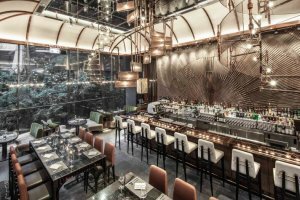 This award-winning Hong Kong restaurant is located in a heritage-listed, former nineteenth century explosives compound. Its amazing interiors are the brainchild of designer Joyce Wang. Her inspiration was a 1965 film noir movie, Alphaville, and the feature of the modern space is its innovative use of copper – from wall panels to lighting installations. The result is both industrial and luxurious, providing a top class effect for a stylish room. Winner of the 2016 Australian Interior Design Award for Workplace Design, this amazing interior was created by Nielsen Workshop and Morgan Jenkins Architecture. Located north of Brisbane, the office was created for three tenants sharing a small space. It cleverly harnesses and manipulates natural light over two levels. There are three polycarbonate light wells, which define and separate zones for each individual tenant. 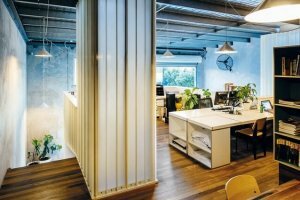 With translucent wall panels, as well as features such as wooden walls, the unconventional result is a step in a new direction in office design. Another Australian Interior Design Award Winner for 2016 (Best Retail Design), this interior was created by Studio Esteta. The space is a place for making and selling pastries; with an area for bakery service ordering as well as a separate area for coffee and waiting. 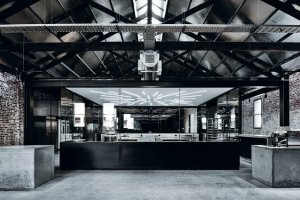 The interior features huge concrete counters, a climate-controlled glass cube, all within a minimalist, dark space with a warehouse feel. Exposed brick walls and walls of mirrors complete the effect. These are just five examples of the many, many amazing interiors to be found worldwide. Some are lavish and luxurious; others are minimalist or industrial. But all of them are remarkable in their ability to create a mood and to be memorable.